Born: March 17, 1946, in Wallasey, Wales. Education: Oxford University, BA, 1968; INSEAD, Fontainebleau, France, 1969. Career: L'Oréal, 1969–1976, product manager in France and Belgium; 1976–1978, marketing director of Consumer Division; 1978–1984, chief executive officer of Italian subsidiary and chairman and CEO of U.S. subsidiary; 1984–1988, executive vice president and chief operating officer; 1988–, chairman and CEO. Awards: Global Corporate Achievement Award, Economist Intelligence Unit, 2002; named one of the "25 Most Influential Names and Faces in Fashion," Time Magazine , fall/winter 2002. Address: L'Oréal, Centre Eugène Schueller, 41, rue Martre, 92117 Clichy, France; L'Oréal USA, 575 Fifth Avenue, New York, New York 10017; http://www.lorealv2.com/. ■ Lindsay Owen-Jones skillfully developed L'Oréal into the largest beauty-products company in the world through global marketing, product-line diversification, and customer savvy. He spent his entire corporate career at the company, becoming chairman and chief executive officer (CEO). manager in Belgium in the early 1970s and went on to hold other management positions in Italy, the United States, and France. Working in the United States in the early 1980s, Owen-Jones competed successfully with Estée Lauder and Revlon. In 1988, after under 20 years with L'Oréal, he became chairman and CEO. By 2004 L'Oréal had acquired dozens of product lines and brands that were sold to both women and men in 150 countries: perfume, color cosmetics, makeup, and hair and skin care. Successful brands included Ralph Lauren fragrances, Preference hair color, Maybelline, Lancôme, Vichy, Garnier, and Redken hair-salon products. Dubbed "The United Nations of Beauty" by Owen-Jones, L'Oréal became a global force in beauty products. After high sales in Europe and the United States, Owen-Jones looked to expand into China, the Russian Federation, and Japan. Emerging consumer markets with growing middle classes were always compelling for him. Owen-Jones consistently diversified his products to appeal to women and men around the world. He worked to appeal to widely differing tastes and demonstrated that he knew how to create a need for products previously unknown in a country. To achieve his dream of putting lipstick into the hands of every Chinese woman, for example, Owen-Jones reached across boundaries of culture, race, and income in his advertising and product development. He would sell a style, be it New York street smarts or French chic, always conscious to increase international sales and make each product line stand out for consumers. Rather than homogenize the company's products across countries and socioeconomic backgrounds, Owen-Jones focused on the cultural specificities of each product line and company. This approach gave L'Oréal the reputation for acknowledging many different perceptions of beauty around the world. In 1997 L'Oréal became the first company to sell a hair color other than black in India. Looking to expand into sub-Saharan Africa, Owen-Jones established a research and development center in Chicago to study African hair types. When Owen-Jones joined L'Oréal in 1969, 90 percent of its sales were in Western Europe. By 2003 the company's revenues had reached $14 billion, after 18 consecutive years of double-digit sales and earnings growth. By 2004 L'Oréal had 50,500 employees worldwide. Risk-taking was central to L'Oréal's growth. Against the better judgment of some, Owen-Jones acquired ailing Maybelline for $758 million in 1996 and completely revamped the brand with a new urban American look. As a result, Maybelline's sales doubled in three years and as of January 2003 it was the top makeup brand in the world. L'Oréal also set an example, under Owen-Jones's direction, for rival cosmetic companies in the areas of research and development. Owen-Jones ramped up L'Oréal's traditional focus on research and development and set an example for rival companies with increased yearly budgets for technological development and long-term success. This emphasis enabled L'Oréal to develop a varied brands and technology portfolio for stockholders interested in these areas. Owen-Jones was infamous for acquiring small companies in Asia, the South Pacific, South America, and Africa, a habit that was central to his success. His frequent acquisitions followed a similar routine: Owen-Jones bought out local cosmetics brands, changed their product lines and marketing approach to fit the goals of L'Oréal, and reintroduced the new product lines to both the local market and larger regional market. Owen-Jones was not afraid to create competition within his own company, as he showed when he introduced a new line of Redken hair products that competed directly with L'Oréal's Preference line. 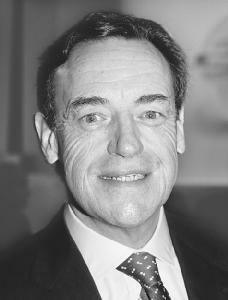 Owen-Jones believed in the wisdom of selling through retail outlets as well as by direct marketing. He applied a diversified approach to sales and distribution, placing L'Oréal products in mass-market venues, upscale retail stores, and salons. Owen-Jones was known as a perfectionist. He told BusinessWeek in 1999, "I am never satisfied and never convinced we are winning." He was known to be demanding in meetings with his own executives, but colleagues and employees affectionately called him "O-J." Company insiders reported that Owen-Jones encouraged female representation and ethnic diversity in the company's leadership ranks. He visited department stores regularly to observe and question customers. He was known to approach women on the street, inquire about their choice of hair color, and march them into a store for free boxes of L'Oréal hair dye. In 2004 Owen-Jones was named one of twenty "builders and titans" on Time magazine's list of the one hundred most influential people in the world. Time called him "the man who globalized beauty" and made L'Oréal "into the world's largest cosmetics company." See also entry on L'Oréal in International Directory of Company Histories . "The Best Managers: Lindsay Owen-Jones," BusinessWeek Online , http://www.businessweek.com/magazine/content/03_02/b3815621.htm . Edmonson, Gail, "L'Oréal: The Beauty of Global Branding," BusinessWeek Online , http://yahoo.businessweek.com/1999/99_26/b3635016.htm . James, Jennie, "Lindsay Owen-Jones: Dreams of Beauty," Time Magazine's 2004 Builders and Titans, http://www.time.com . "L'Oréal's Owen-Jones: 'I Strive for Something I Never Totally Achieve,'" BusinessWeek Online , http://yahoo.businessweek.com/1999/99_26/b3635021.htm . "The Stars of Europe: Managers—Lindsay Owen-Jones," BusinessWeek Online , http://www.businessweek.com/magazine/content/02_24/b3787607.htm .